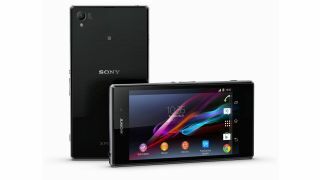 Sony already use DAB chips elsewhere, so why not in a mobile? With the UK digital radio switchover being pushed back as there is yet too few digital listeners, news that DAB chips are likely to appear in the next generation of mobile devices is a big boost. It would provide a massive upgrade over the current chips, as today's mobile devices usually ship with FM receivers, although the Samsung Galaxy S4 is a notable exception. Sir Hossein Yassaie, CEO of Imagination Technologies who produce Pure digital radios, reckons that mobile devices are the next juncture for DAB chips. At a recent Go Digital event in London he explained that: "The next big stage is the penetration of digital radio technology into mobile devices, and our technology is ready to facilitate that." Unfortunately, he believes that there are a few barriers that need to be overcome, stating a need for "global standards support, low power and low cost" as well as "certainty about the future of the digital audio broadcast market, which the Government must supply." The low cost factor could already have been reached, though, with a partnership between Imagination Technologies and Frontier Silicon leading to the production of a sub-£20 digital radio. The partnership has also produced the new Chorus 4 chip, set to build on the work it has already done; digital chips are already found in home audio, radio recorders, clock radios and even in car stereos. DAB radio would provide a decent alternative to current streaming methods, able to provide a decent mobile audio experience without having to sacrifice masses of data. This leaves us with one question: is it a lack of quality and choice holding people back, or is the lack of radio on the Galaxy S4 a symbol that users are generally moving away from mobile radio? Current users of the digital chips include handset manufacturer Sony, so it might not be too long before we see a DAB-toting Sony Xperia Z2.